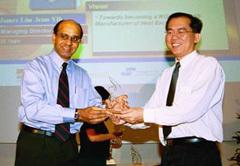 Merit Winner for “Young Business Start-up Award 2002” organised by Shell International, ITE and Singapore Press Holdings. 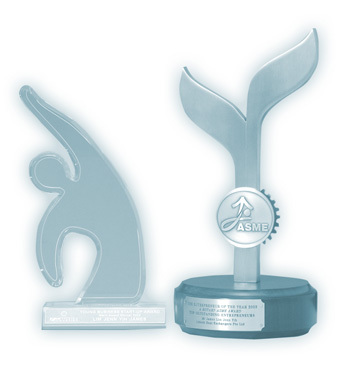 There are a total of 5 merit winners and 1 top winner for the competition. 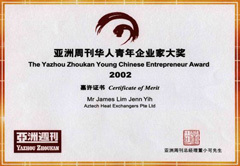 Finalist winner for “Young Chinese Entrepreneur Award 2002” organised by YaZhou ZhouKan (Asia Week). There are a total of 4 finalist winners and 1 top winner for the competition. The other competitors are from well-established and Public Listed Companies mainly on food and provision store business. 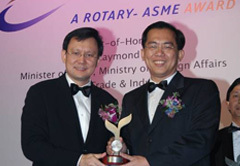 Top Ten Winner for ":The Entrepreneur of the Year 2003 - A Rotary - ASME AWARD". This is the premier Entrepreneur Award to reward and encourage local entrepreneur who have demonstrated entrepreneurial excellence in their field of expertise and who have also contributed significantly to Singapore's Economy and Society.